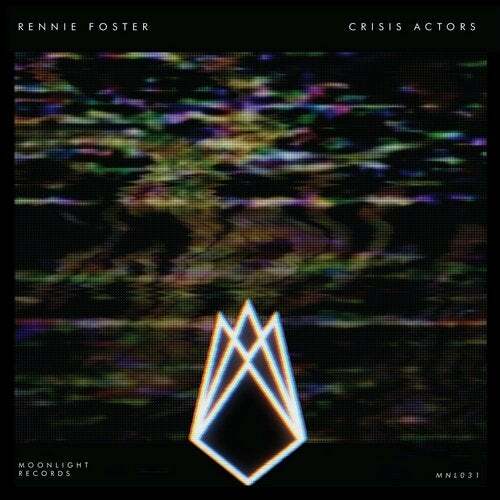 Crisis Actors, released on Calgary-based Moonlight Records, sees Canadian music veteran Rennie Foster return with two tracks steeped in the unexpected and subversive approach to Detroit techno that he's cultivated over his three decade career. Foster himself describes the vision behind both tracks as 'alternative dance floor cuts,' marked by emotions and attitudes that depart into abstraction. The title track 'Crisis Actors' delivers a rugged, cyberpunk soundscape dominated by flurries of chord stabs, laser-like effects, and politically charged vocal samples with messages of resistance and revolution. Techno's flagship booming, four-on-the-floor kick drum pattern lines the track, making this a peak-time offering that fuses the classic with the futuristic. Matt Caine's remix plunges the track into deep house territory. With sections of entrancing chord progressions it maintains the futuristic appeal of the original while introducing rich layers of light percussion and the type of deep, lounge-worthy bass you'd expect to hear from an artist that also manages one of the Calgary's most significant house music venues. Damnatio Memoriae is the EP's minimal techno offering, opting for a stripped-down and hypnotic atmosphere that veers into the occult and esoteric. From the onset a series of deep notes drone over a steady hi-hat driven beat. Monastic chanting and a pitched-down voice speaking the song title fade in and out as the track slowly builds and becomes more engrossing. Kloves, one of Western Canada's fastest rising names in techno, maintains their unwavering commitment to the European brand of the genre on their Damnatio Memoriae remix. Raising the tempo of the original to feverish levels, the track immediately launches into a broken-beat state of squelchy notes and pulsing bass. This rush of energy then collides with waves of dark, haunting melodies. The Crisis Actors EP marks the 31st release on the Moonlight Records catalogue and boldly displays three artist setting the standard for innovation in Western Canada's thriving house and techno community.